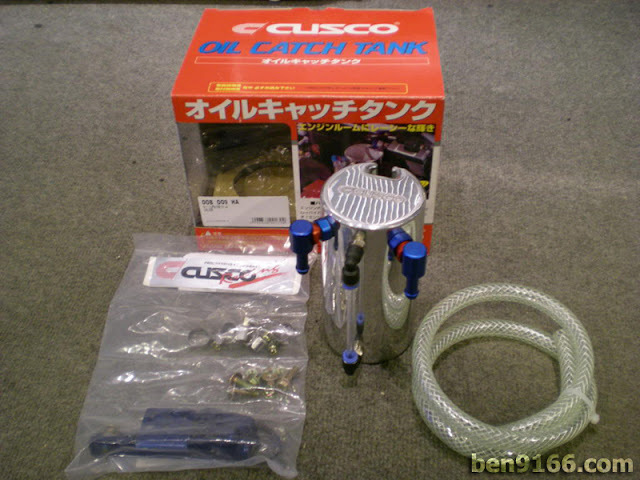 Home / Car Stuffs / D.I.Y / What is an Oil Catch Tank? What is an Oil Catch Tank? An oil catch tank is normally used in turbo engine or those high revving engine where excessive blow-by (leakage past the piston rings) of air and fuel vapor occurs. This creates a positive pressure in the crankcase. In order to release this pressure from the engine, car manufacturers have placed a valve on the engine block. This valve is known as a PCV (Positive Crankcase Ventilation) valve. During engine operation, blow-by gases, as well as oil mist from the rotating components of the engine, pass through the PCV valve and are routed back into the intake for the engine to burn off. Unfortunately, some of the oil mist and other unwanted stuffs will settle along the engine intake and form gunk. The purpose of the oil catch can is to coolect the oil mist, other unwanted stuffs and condenses the fuel vapors while allowing "cleaner" gases to be passed back into the intake. The oil catch tank need to be drained frequently so that you can get rid off the oil, fuel and other contaminants. Stay with me as I am going to install oil catch tank to my Satria and Celica and will detail down all the steps needed.